Safety is important when it comes to selecting a PFD, but kayak anglers also have a few other things to consider, such as comfort and convenience. The Extrasport Evolve Angler aims to deliver on all these fronts with a Type III fishing specific PFD. It is made from 240D ripstop nylon and features a lightweight PE and EVA foam construction. The Evolve Angler also ensures that you have freedom of movement thanks to its AirComfortSystem technology, which is designed to provide ventilation. The Evolve Angler makes use of a full zip front, so getting it on or off is very easy. In addition, it provides a customized fit thanks to not only adjustable shoulder straps, but also side straps along with a waist belt. 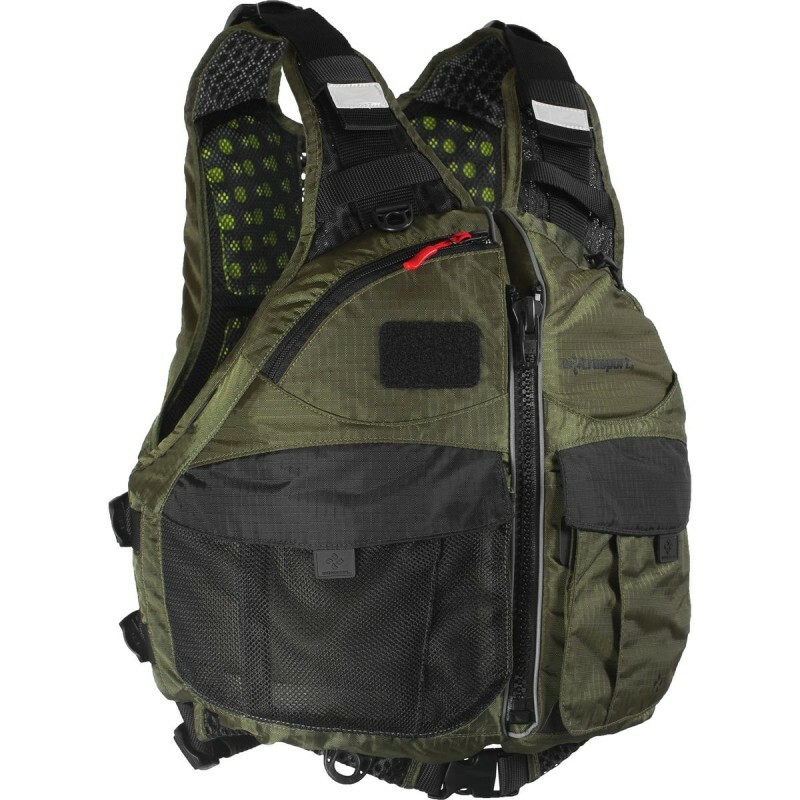 Anglers will appreciate the expandable pockets of the Evolve Angler as it provides plenty of space for storage cases. A convenient VHF radio pocket allows you to keep your radio close at all times and the zippered pocket with D-ring offers additional storage options. In total, the Evolve Angler has three D-rings and elastic retention clips. You’ll also find two Hypalon patches for retractors on the Evolve Angler. Since this PFD has a Baja Back design, it is also convenient to wear no matter what type of seat you have in your kayak. The Extrasport Evolve Angler is available in one color, “moss,” and has reflective detailing on the front as well as back. These are designed to ensure that you remain visible even when fishing in low-light conditions. 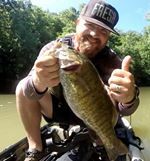 While this PFD is somewhat on the pricey side, it is very comfortable and comes with plenty of features that makes it very appealing to kayak angling enthusiasts. Anyone who enjoys fly fishing in particular will appreciate what the Evolve Angler brings to the table.